This article is an excerpt from my Fall 2008 Newsletter. The idea for this article is a direct result of reading an article written by Doug Menuez entitled On Chaos, Fear, Survival and Luck: Longevity is the Answer which was published on the Editorial Photographers’ website (www.editorialphoto.com). In the article Doug discusses the dilemma of getting paid to do what you love - or for the photographer this would mean getting paid to shoot what you love to shoot. The main question he asks himself is “how can I build a satisfying and challenging creative life in photography over the long-term?” My purpose here is not to paraphrase his article, but to discuss my own path to creating satisfying work and getting paid for it. Around year ten of my career, I found myself in a conundrum that still continues. When I started out as a pro photographer I had big dreams and big goals. In the first ten years of my career I achieved almost all of those goals. Hence, I got to a place where I was asking myself “ok, where do we go from here?” At the same time I started working with a broader range of clients that needed more than just adventure sports images. This broadened my horizons a bit and tapped into another passion of mine (I have many) which is photography and art in general. I started shooting a lot of portraits - and still do. I also started to shoot a lot of non-adventure images which was a fun distraction and no doubt helped sharpen my skills as a photographer but after a few years of not concentrating solely on adventure images the “where do I go from here?” question loomed even larger. 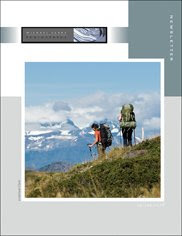 And that is why earlier this year, while covering the 2008 Patagonia Expedition Race I had a “eureka” moment. Of course discussing it now and writing about it in this newsletter the answer to my question seems so obvious. Basically, in the midst of one of the most adventurous and exciting assignments so far in my career, I realized that what gets me excited, what really makes my soul sing is a good adventure - and in terms of my professional career, creating stellar images of that adventure. And the fact that adventure images are what I produce and I can make a living producing is just icing on the cake. The problem comes in when I start to think bigger and get greedy. I want it all. I want to experience and record grand adventures but I also want to experiment with other genres of photography and have a long and rewarding career. And there is nothing to say that I can’t widen my horizons to include other genres of photography as long as they motivate and inspire my work, it is more just a matter of patience. Like the Queen song says, “I want it all, and I want it now!” Perhaps it is the ambition in me asking these questions rather than the creative side. Patience is a virtue I am still learning. Even so, don’t get me wrong, I am grateful for the very successful career I have already had and I look forward to the next ten years as a photographer (knock on wood). In the end this article is more of a musing to get the synapses firing so both I and you, the reader, can ponder where it is we want to take our work and to find out exactly what our passions are. This is another reason Doug’s article struck me right between the eyes because he hits at the heart of what makes us tick as artists. And he really nails it in terms of how to “be true to yourself” by saying no to jobs that don’t fit into your plan, letting go of the fear of financial and creative failure and lastly breaking free of categories and being categorized by your clients. The tricky part to all of this is how to remain a pro and make enough money to continue to produce the type of work that gets your creative juices amped up. As I have said, in that respect I am lucky because to a large degree I am already doing just that and as I said in the opening editorial of this newsletter business is better than ever. In these tough economic times nothing is certain but by thinking about my career in the long term I hope to do better than just weather the current storm. So in the end the answer to my question, “where do I go from here?” is to keep on shooting adventure images and expand my photography into other genres that are in keeping with my passions. 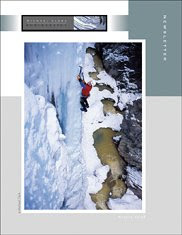 The Fall 2008 issue of the Michael Clark Photography newsletter is now available for download. If you'd like to sign up for the Newsletter just drop me an email and I'll add you to the mailing list. This issue includes an editorial on the current economy, a review of Elinchrom's Ranger RX Speed AS kit, an extended editorial on Following your Passion and much more. Please note that the newsletter is best viewed in the latest Adobe Acrobat reader which is available for free at http://www.adobe.com. Just wanted to let everyone know I have updated my website this morning and added a new Black and White gallery to my Portfolio section. There are now separate web galleries for my color and black and white portraits. It has been quite a while since I have posted a blog here. As you might guess I have been so busy with work that I haven't had much time to blog. Between road trips, assignments and other big projects there hasn't been a whole lot of free time. Recently I shot a few portraits as part of Aurora Photos Action:Reaction project which celebrates 15 years of being in business as a stock agency. The Action:Reaction project has been in progress since June 2008 and the basic concept is that every 48 hours a new image is uploaded to the site that somehow relates to the previous image. It is a very interesting progression of images by an incredible group of pro photographers. Each photographer submits three images and then an editor chooses the one that goes live. Part of the project is that it brings photo editors and photographers together, for instance my set of images was edited by Sadie Quarrier of National Geographic Magazine. Some of the other guest editors include Rob Haggart of APhotoFolio.com, Sacha Lecca of Rolling Stone and Miki Johnson of American Photo Magazine. As you can tell these images are a bit off the beaten track for an adventure photographer but I am experimenting a lot these days with portraiture and especially black and white portraiture. If you'd like to check out the project click here. A few days ago I was strapped into the back of an airplane with the door removed. I had my climbing harness on and was anchored to three attachment points in the back of a Piper Cub. 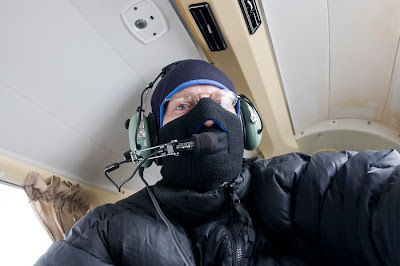 Dressed in a down jacket with windproof gloves and a face mask we took off to test out our system for photographing mountain terrain in the Sangre de Christo mountains above Santa Fe, New Mexico. I was on a test flight with a friend of mine, Jerry Van Slambrook, who is an excellent pilot and is also very experienced at flying in big mountains. 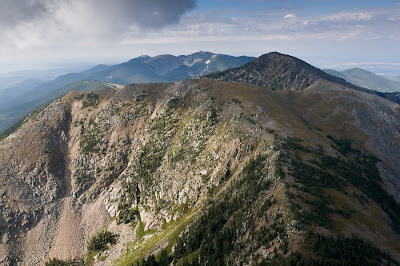 We are working on a project to photograph some Colorado peaks from the air. I can't reveal the full nature of the project just yet but it will be really fun to work on and should result in some wild images. I just thought I'd share a few of the test images here as it was a pretty cool experience and I am really looking forward to working on this project some more. The best part of the day was when Jerry rolled the plane over so that I was looking down past my feet directly at the ground several hundred feet below us. All in all though it was pretty casual. Breaking the plane of the doorway was a little harsh since we were going over a hundred miles per hour but I was very comfortable having hung off 3,000 foot cliffs on several occasions. More to come on this project. Stay tuned. Adobe has been kind enough to feature my Lightroom workflow eBook Adobe Photoshop Lightroom: A Professional Photographers Workflow on the Adobe website. It is a great honor to be included with other excellent Lightroom books by such well known authors as Scott Kelby, Seth Resnick and Martin Evening. This is a huge stamp of approval for my ebook. 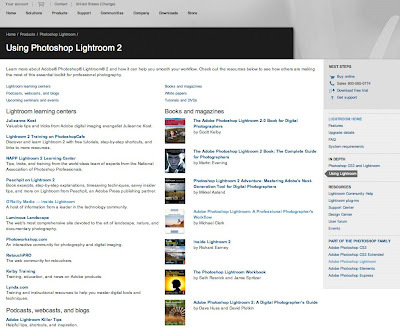 You can check out the Lightroom resources page here. 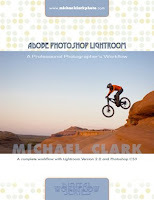 I have had several people email me and and ask what sets my book apart from all of the other Lightroom books out there? That is a great question. My response to that is, as far as I know, my eBook is the only book that details a complete workflow from capture all the way through to finished images. My book isn't just about Lightroom. Most of the other Lightroom books are an in-depth detailed discussion of all the features in Lightroom but none of them that I know of come from the perspective of a professional photographer and show how Lightroom fits into a complete digital workflow. Also, my book contains a lot of information on setting up the camera, a shooting workflow, detailed naming conventions, storing and archiving strategies and an overview of when I use Photoshop after exporting images out of Lightroom as well as many other topics that aren't covered in the normal Lightroom books. Basically my book fits all the pieces of digital photography together to take you from your current digital knowledge base to a much more expanded and complete understanding of the digital process. And it does it with straight talk and very understandable and concrete examples. I have been working closely with Adobe (not as an employee) for a number of years now and they are a fantastic company to work with. From top to bottom they are a responsive corporation that listens to photographers and artists so that they can make better products. If you haven't downloaded Lightroom 2.0 yet then you don't know what you are missing. For me and my workflow, it is the best thing to happen to photography since digital came on the scene back in the late 1990s. The latest version of my eBook has gotten rave reviews and has been reviewed independently on several blogs. My many thanks to all of you who have purchased my eBook. Your continued support guarantees that the book will be expanded and made even better as Lightroom is upgraded and when the next version comes out. And lastly, many thanks to Adobe and in particular Frederick Johnson (who has been a great resource and friend) and the entire Lightroom team. 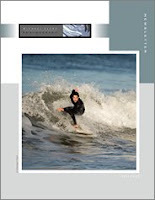 The Summer 2008 issue of the Michael Clark Photography newsletter is now available for download. If you'd like to sign up for the Newsletter just drop me an email and I'll add you to the mailing list. This issue includes an editorial on burning the candle at both ends and the creative urge, a review of Adobe Lightroom 2.0, a new section named Inside Scoop which details the Anatomy of a Portfolio and much more. I just got back from a five day trip in Colorado and saw that Ken Milburn wrote a glowing review of Lightroom 2.0 eBook Adobe Photoshop Lightroom: A Professional Photographer's Workflow. I did, however, get a chance to read the Table of Contents, Introduction, and his very, very professional procedures for setting up his camera(s) for the best possible RAW capture…including one of the most clear and understandable discussions of the importance of Histograms, how to read them, and how to expose in order to capture the most RAW data possible in order to be assured of having the most to work with when adjusting the image. It’s all very scientific and thorough, but totally understandable, logical, and just plain interesting. What I learned from the table-of-contents is that he seems to be covering a very complete suggested workflow that is specifically aimed at high-volume production, advertising, and editorial photographers who are expected to produce the very best pictures and present them almost instantly. He also has an entire chapter devoted to what you should save for doing in Photoshop, when and why. 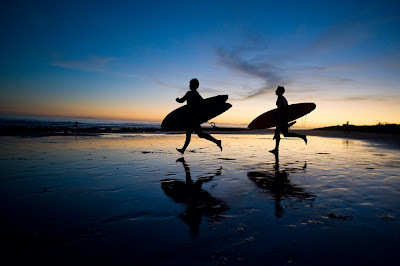 Check out Ken's full blog post at Inside Lightroom. And if you'd like to check out Ken's website click here. Please note that I did not ask Ken to write this review. He purchased the book from my website like everyone else. My many thanks to Ken for his great review. After spending more time than I want to think about updating the Lightroom eBook, I have finally finished the updated version of my eBook Adobe Photoshop Lightroom: A Professional Photographer's Workflow. To purchase the updated version of this eBook click here. 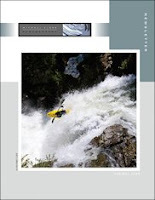 The Adobe Photoshop Lightroom workflow, a 124 page PDF e-book, is a workshop in book form. This workflow, while not exhaustive will cover the main topics of a shooting workflow then move into a RAW processing workflow with Adobe Lightroom Version 2.0 and Photoshop CS3. This book gets down to the nuts and bolts of a real world workflow. With so many new updates and changes in Lightroom 2.0 this eBook was almost completely re-written and presents a workflow that can be adapted by any photographer, professional or amateur. Please note that, true to my word, anyone who purchased the previous version of this eBook on April 1st, 2008 or after will receive a free copy of the updated version. I will be compiling a list of emails of everyone who has purchased the eBook since April 1st and I'll send the download link to those individuals over the next few days. This summer has been the busiest I have ever been in my career, hence the lack of blog posts the last few months. Things have cranked up to a whole new level here at Michael Clark Photography and I am working on some very exciting projects right now - which I can't disclose at this time but hopefully here soon I will be at liberty to say what is happening. Starting in September my travel schedule gets nutty. I'll be in New York city for a few days meeting with clients, then fly off to Portland Maine for the Aurora Photos stock agency meetings which are always a blast. Two days after I get back from those meetings I am off to Yosemite Valley to shoot for three weeks. After that I'll be back here in New Mexico and dive right into assignment mode. I also have finalized my latest print portfolio (the image above is one of the images from the book). If you would like to meet with me while I am in NY on September 9th and 10th please drop me an email and we can set up a meeting. I am excited to get back to the Big Apple and meet with many of my clients and many new ones as well. I have been working sixteen hour days for a week now revising my workflow eBook Adobe Photoshop Lightroom: A Professional Photographers Workflow. The eBook will be available here in the next few days. All I have left to do is read it once more and make the final edit. The changes in Lightroom have been drastic in many ways that might not be apparent and this has drastically altered my workflow (for the better). I have received many emails from folks who can't wait for the new version of the eBook. I'll have it out as soon as possible, I just want to make sure it is up to par and a fair bit better than the previous version. Guaranteed I'll make a posting here and on several other blogs I write for when the new version is available here in the next few days. The image above is a sample cover - I am still finalizing the look of the cover but I just thought I'd make a blog post here today to wet your appetite! 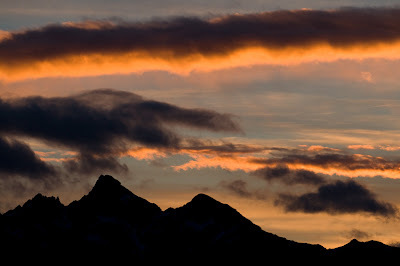 The Spring 2008 issue of the Michael Clark Photography newsletter is now available for download. If you'd like to sign up for the Newsletter just drop me an email and I'll add you to the mailing list. This issue includes an editorial on inspiration and the creative spark, Part 2 of my Nikon D300 review, an article on finding inspiration, a special portfolio and article about the Patagonia Expedition Race and much more. Michael makes the cut on A.P.E. Michael made the cut on Rob Haggart's A Photo Editor's Slideshow of photographers he likes and would hire (and has). The image that made the cut (above) appears near the end of the show. Rob initially asked for submissions and culled them to help photo editors find talented photographers to work with. A faster thnumbnail version of the slideshow is available here. The Copyright battle begins again! This past week I heard from ASMP (American Society of media Photographers) National that two versions of the Orphan Works bill has been introduced - one in the House and one in the Senate. Photographers and artists alike have been fighting off this bill for a few years now. And it seems like the lead professional photography associations that have been working with folks on the hill - both ASMP and PPA - have given up to some degree stating that no matter how loudly we cry foul some version of this bill will be passed. They are just trying to limit the damage the bill can do from my understanding. If you are a photographer it is time to contact your senators and congress members. Also, I found a very interesting article on the UK Editorial Photographers website by EPUK moderator Tony Sleep entitled Why the Orphan Works Act is Uncle Sam's thieves' charter that talks about the new bills in detail. It is very interesting to see just how much our own copyright legislation affects the rest of the world. Tony points out a lot of real world facts about copyright infringement that with the current laws that will be further strained if a version of this bill is passed. Stay tuned to ASMP, PPA, APA or EP for more information on how you can help defeat this bill. 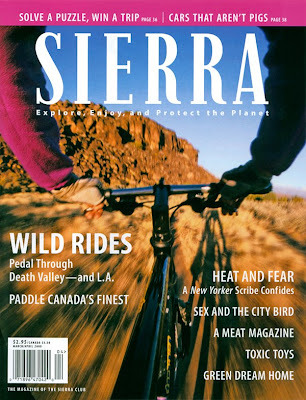 Michael got the cover of the April 2008 issue of Sierra Magazine recently. The image (above) is a self portrait shot while mountain biking on the Red Dot trail near White Rock, New Mexico. The camera was mounted on the seat post with a special clamp that held the camera steady as I rode the singletrack trail. Michael also shot an assignment for the April 2008 issue of Sierra which detailed the Building Bridges to the Outdoors Project which is sponsored by the Sierra Club and locally mentored in New Mexico by the Santa Fe Mountain Center. 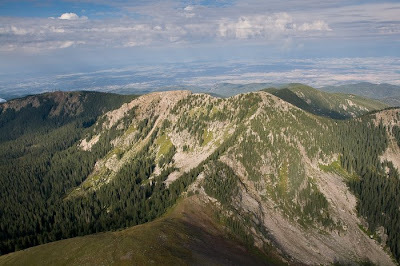 The article follows a group of Santo Domingo Pueblo native american students as they take a day hike just north of Santa Fe and learn about their culture and how they relate to the outdoors. 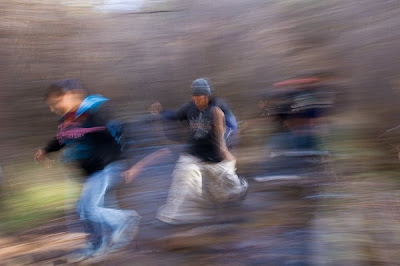 The image above shows three students crossing a small stream during that hike. Winter 2008 Newsletter is here! 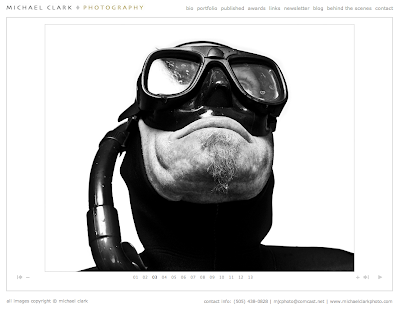 The Winter 2008 issue of the Michael Clark Photography newsletter is now available for download from my website. If you'd like to sign on for the Newsletter just drop me an email and I'll add you to the mailing list. This new issue of the newsletter is really late in coming. I apologize for that. It has been busy around here and I was out of the office for pretty much the entire month of February. I'll get the Spring 2008 newsletter out here in the next few months hopefully with a portfolio of my images from Patagonia. This issue includes an editorial written on a flight to Patagonia, a first look at Nikon's new D300 DSLR, a perspective article on an inspirational day, and much more. I spent most of February and a wee bit of March in Chilean Patagonia. I was flown down to cover the Patagonia Expedition Race which started in Punta Arenas and went south from there – way south. The race was 600+ kilometers long and like a triathlon on steroids the teams of four (with at least one woman) mountain biked, sea kayaked and trekked in some of the most remote and wild scenery known to man. Since it was pretty much impossible to cover the entire race the photographers were split up to cover different sections of the race. Lydia McDonald, the writer who accompanied me, and myself chose to cover the second half of the race starting just north of the Darwin Range. We waited for the racers for five days. Luckily we had a deserted house that was workable to relax in. I don’t know who built it or how long it had been there – probably a good 50 years or more. Since it was raining a fair bit the house was a nice respite and it also allowed me to work up images on my laptop since we also had a generator. You might be wondering how we got all this gear out there to La Paciencia (where we were waiting) and the Darwin Range since it is extremely remote. We took a boat, an old coastguard cutter, from Punta Arenas on an overnight (16 hour trip) to this remote location. The boat was full and included the generator and a healthy supply of gasoline. While waiting for the racers I basically went into stock shooting mode and had Lydia pose down for me when the light was good or we found an interesting spot. My stock agency will be very happy! When the racers did show up it was an education in suffering. I have gone on several big mountain expeditions and have done my fair share of suffering but I don’t think I have ever seen people suffer like they did in this race. I’ll admit that before the race my idea of adventure racing was rich, bored dentists out for a weekend of excitement but this race far surpassed any preconceived notion I ever had of adventure racing. 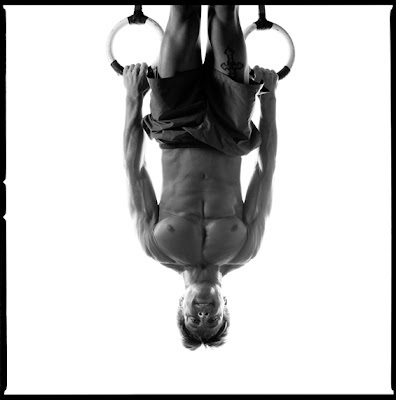 These athletes were pushing the envelope of the light and fast philosophy in unmapped terrain. Sadly the waves were so big (2 meters) for safety reasons the sea kayaking section was cancelled. We, the media – all four of us – and the racers piled onto a Chilean marine boat and were shuffled 40 km over to the foot of the Cordillera Darwin (aka The Darwin Range). So, we went with the racers into hell. We tried to do this 60 km traverse through the Darwin Range in the Valley of Death (no I am not making that up). This was an area where (we were told) only ten expeditions have ever been in recorded history and one of those was Darwin who named the range after himself. There were no real maps. We had a satellite photo of our route and the surrounding peaks. This is one of the few unmapped areas left on planet earth. We were at the very tip of South America – save for a few islands on the far side of the traverse the next stop south was Antarctica. And we could have done the traverse easily - even with our huge packs of camera gear and such but we only had two days to do the traverse which was a really, really short time with that much gear. We had to do it in two days because the boat on the other side would be gone in two days and we would be left behind. But we had to give it a shot - this is what we came for. The racers did it in 30 to 40 hours but they basically had daypacks and small ones at that and they didn't sleep at all – they just went straight through. One team didn’t even take packs but just stuffed food into their pockets, carried one water bottle per person and took off. The first 10 km were the hardest and we were three quarters of the way through that when we decided to start look for a campsite as it was getting dark. There was this "turva" stuff which I have never seen anywhere else on planet earth - it is like a living sponge that is filled with water and you can fall into them quite deep. I even found a large pool of quicksand-like stuff early on (not quicksand - worse). I went in up to my waist and it locked onto me like concrete. It was the consistency of pumpkin pie (with the strings) and Lydia was trying to pull me out and nearly dislocated my ankle so I had to start digging in this stuff for like 10 minutes to release my foot - finally I got out but it was a big eye opener into the type of terrain we were heading into. I have never seen anything like it. It was a peat bog jungle with dense forests and no trails. Back at the check point we had started from I was told a helicopter was on it's way to shuttle me to the next check point where I could continue covering the race. But the weather reigns supreme in Patagonia and the clouds rolled in and killed any chance of a helicopter taking us anywhere. It rained for another day and a half. The boat we left on was an old US Coast Guard cutter and the waves were 2 meters tall (6 feet) on icy waters. Hence, we are bouncing around a lot and waves of nausea came and went but never seemed to get bad enough to really get sick. If we started to feel ill then we would go topside and it is was little less rough up there. The boat was pretty nasty and dirty - and all of our gear was completely wet so there wasn’t much in the way of comfort. Summing up, it was a serious adventure I'll never forget. We have truly gone to places that are off the map. And I'd go back tomorrow if I could! I’ll have an expanded version of this blog post in my Spring 2008 newsletter. The Winter 2008 Newsletter is nearly finished as well and will go out as soon as possible. And because many of the images form the race are being considered for publication in several magazines I have not included too many images with this blog post – you’ll see them soon enough and I’ll report in a future blog post as to where the images have been published. I’ll just say there are a few zingers that will make you cringe and maybe even look away! This is another little trick I learned while down in Patagonia last month covering the Patagonia Expedition Race. It rained a lot which is not that unusual – though for a desert dweller like myself that much rain and especially sideways rain is an interesting phenomenon. And at times it was pretty comical trying to stay dry. Sooner or later you just gave up and accepted it. And once accepted it wasn’t that bad. 1. Suit up in full rain gear. A nice Gore-Tex jacket and pants are essential to staying warm and somewhat dry in the harsh Patagonia climate. If you have pants that have zippers on both sides this will come in handy for pit stops. 2. Choose your spot and dig a hole which shouldn’t be too hard because the ground is by now well saturated. 3. Face the rain. Put your face into the driving rain, push down your long underwear and unzip those fancy Gore-Tex pants to about mid thigh. Keep the front flap tucked up into your jacket and pull the rear flaps forward a bit to keep them out of the way but not so much so that they get wet on the inside. 4. Commence the task at hand. 5. Once finished, pull out the toilet paper (if you have some – otherwise rocks and leaves are pretty good but be careful with leaf selection) and clean up. 6. (Optional) As a final rinse, pull the back Gore-Tex flap up and turn around so that your cheeks face the driving rain. It’s like a cold shower! 8. Zip up and run back to the tent. Or look forward to slogging through miles of jungle like peat bog and beaver infested trail-less wilderness. Enjoy. Perhaps I had too much time to contemplate the finer details of trekking in the Cordillera Darwin at the end of the world. More to come soon…. 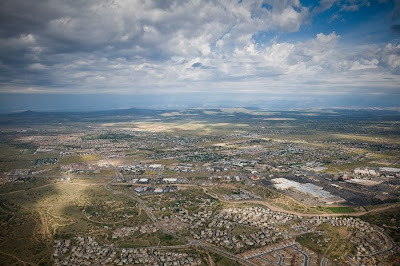 A few years ago I went to a mid-week lecture given by Joe McNally and a few other photographers who were teaching at the Santa Fe Workshops here in Santa Fe, New Mexico. Ever since I started working as a photographer, I had ogled quite a few of Joe’s images in National Geographic, Sports Illustrated and many other magazines. I liked his style and the way he thought about photography – and I was blown away by what he could create given carte blanche on an assignment. But nothing I had read about him previously prepared me for his lecture that evening. As Joe worked himself into the talk, he started telling stories. They were tales of woe spun in a humoristic tone that was without any ego. It was the “straight skinny” no-holds-barred, this-is-what-happened manner in which he communicated that really caught me off-guard and had me hanging on every word. He told a story about an assignment that he worked on for Sports Illustrated where he was shooting in fighter jets. At one point while shooting, the pilot was pulling some pretty extreme maneuvers and Joe told us “I began to feel sick, and then I threw up.” As you can imagine his puke was all over the canopy of the F-15. He then went on to say, “I wiped the puke off with my arm and kept shooting – you only get so much time up there in a fighter jet.” That was it. We were all rolling in the aisles with laughter. It was then that I thought I need to take this guys workshop to learn about lighting but more so because he tells it like it is – unvarnished and real. I had not meet many photographers up till then that were willing to be so open about their work and the profession. And Joe didn’t disappoint, when I finally did take his workshop it was just what I expected: intense, real, inspiring and challenging. And it was chalked full of little tidbits and one-liners that had us reeling for five straight days. So when I got a copy of Joe’s latest book The Moment it Clicks, I was reminded of the stories I had heard him tell, his great enthusiasm for photography and his incredible talent for teaching. The first thing you’ll notice when you start reading Joe’s acknowledgements is a long list of friends and colleagues that have helped him get to where he is. While reading this I remembered how much Joe is a people person. And I thought to myself, what an important lesson for all of us, no matter what profession we are in – no matter what we do, it’s all about people. Joe understands that. That is the heart of his photography and I would bet it is a huge reason for much of his success, aside from his obvious talent. If you understand this about Joe, then his incredible skill as an instructor, as a photographer and his openness all falls into place. As I read the The Moment it Clicks, I got the feeling I was back in a photo workshop and Joe was whispering words of wisdom in my ear. His book is filled with pearls of wisdom for the amateur or aspiring pro photographer. Some of them I had heard before in his workshop and lectures but many I hadn’t heard. The book is laid out in a logical fashion but I found myself skipping around a lot keying in on photos that were of particular interest. 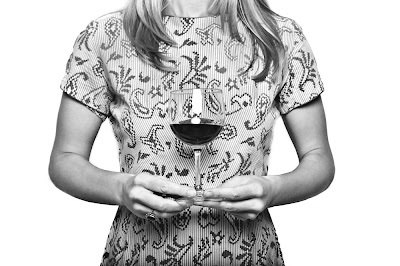 And I have to say my favorite part to the book is the last chapter: The Bar is Open. In this last section Joe moves onto to other topics regarding the life of a professional photographer and he gives us an insiders perspective on the life of a pro photographer via some very comical stories. I enjoyed this book quite a bit and learned a few new lighting tricks I hadn’t seen before. All in All, it is inspirational and I laughed quite a bit – Joe’s humor and sharp wit were in fine form. Another bonus is a whole other chapter that is available for download from the Peach Pit Press website. Check it out on Amazon. 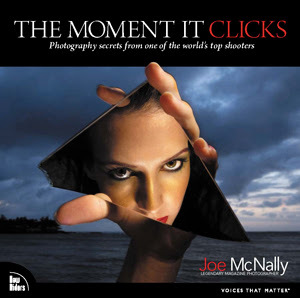 If you’d like to read more about my experience in Joe’s Location Photography and Lighting workshop check out my Perspective article entitled “Real Moments” in the Summer 2006 issue of my newsletter. Many thanks to Jessica Kilroy for going out and exploring the Ojito Wilderness and to Fabian West for the assignment. 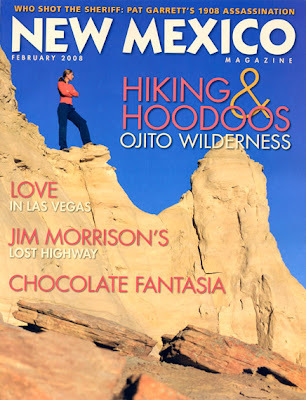 Other images from the Ojito Wilderness assignment accompany a feature story in this issue as well. A Photo Editor is one of those rare blogs that comes along every once in a while and actually has something useful to convey - if you are a photographer, check this one out right now - you won't regret it. And it is published by former Outside and Men's Journal photo editor Rob Haggart. An insiders look at photography...and one of the few blogs where good info can be gleamed from the comments as well as the posts. Another good blog similar to A Photo Editor - some very good articles for pro photographers as well. 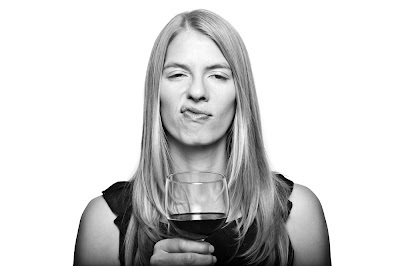 Some good stuff here - check out the articles on Portfolios and websites. A well known blog but none the less very informative. John Harrington gets it right pretty much every post. A gold mine for smart business practices. Scott Kelby often posts some very informative stuff and I just like his style. 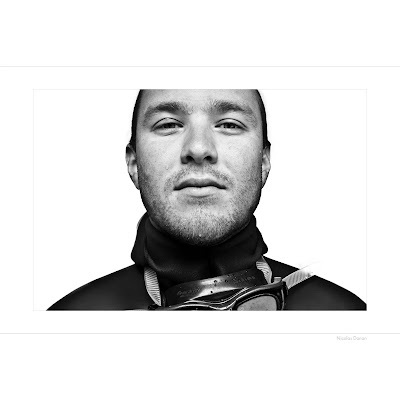 Chase shows the rest of the world what is inside the "black box" of advertising photography. Some very interesting information on his blog. And last but not least we all need a little humor in our lives and What the Duck provides a good dose of reality on a daily basis! These are just a sampling of blogs I check on a regular basis - by no means daily - but check them out and see what you think. It is my hope that my own blog here can become a valuable resource for photo editors and photographers alike. 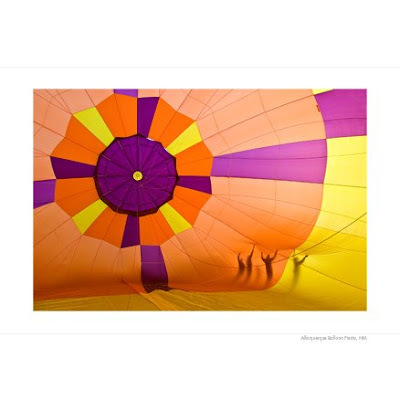 My newsletter is very well known and is sent out to thousands of photo editors, photographers and art buyers around the world. If you want to check that out you can download back issues on my website here.